Our class, whether in the classroom or exploring, went on a journey together. We’ve learned to listen to the world around us and observe our surroundings. We sung together, we hiked together, and we created together. Our popsicle structure taught us the importance of teamwork. In building together, we strengthened both the bridge and our group. We learned that we can be creative with everything and gathered sticks and leaves to create self portraits. In doing this we saw ourselves reflected in the environment. Our group created mandalas and went swimming. The mandalas helped us center ourselves in worship. Everyday we also shared worship on the bridge: in the silence we could hear the stream below us. We saw deer and turkey vultures on our walks, and we found bones and feathers hidden in the grass. We were able to help with weeding in the garden, and it felt good to eat the lettuce that we had helped to take care of. The friendships that we formed with each other during our time together are ones that will last. As we remember this journey a decade from now we hope that our discoveries about creation, teamwork, community, worship, the environment, and all of the connections that tie these things together have stuck with us. Minute YAF2012.01: The 18-35 year old community of Pacific Yearly Meeting came to unity on a name change and clarification. We hold ourselves to be Young Adult Friends in keeping with other Friends’ communities. Note: This minute shall be forwarded to the PYM Faith and Practice Revision Committee for inclusion in the next edition. Minute YAF2012.02: For the Pacific Yearly Meeting annual gathering 2013 a Young Adult Friends planning/clerking committee of four individuals of the YAF community is formed. These individuals are nominated in the general YAF business meeting. The committee is charged with creating the YAF schedule for 2013, managing the 2013 YAF scholarship process, clerking the YAF 2013 meetings for worship on the occasion of business, and performing outreach to Young Adult Friends. Minute YAF2012.03: The Young Adult Friends planning/clerking committee for 2013 is comprised of Mark Runyan, Ty Graham, Cedar Green, and Nate Secrest. Minute YAF2012.04: The 2012 YAF epistle as read was accepted by the gathered Young Adult Friends community of Pacific Yearly Meeting. Note: The epistle is appended in full. Minute YAF2012.05: Young Adult Friends approve the creation of a YAF committee of support and care for the YAF community. This committee is to be implemented as an experimental, open committee for this coming year (2012-2013). Although this is an open committee we would like to express our excitement of five names ready to serve on this committee: Alyssa Nelson, Diego Navarro, Jim Summers, Carl Magruder and Lisa Hubbell. This year approximately twenty Young Adult Friends (18-35yr.) attended Yearly Meeting. Of these people many were involved in greater Yearly Meeting responsibilities and were not regularly involved in YAF activities, and many others came for a brief period of time. YAF activities this year included swimming, building a raft, a sunset hike and worship in a tree, two smaller respectful relations meetings of our own as well as Thursday night with Junior Yearly Meeting, and Meetings for Worship on the occasion of Business. One of the biggest things Young Adult Friends have done in the past has been helping plan and lead the Respectful Relations activity with JYM. This year we did things a little differently. Respectful Relations was planned by Maia Wolff and Alyssa Nelson with members of the YAF community helping lead and hold the space. After Respectful Relations, we asked Alyssa Nelson to lead us in other sexuality contemplation activities that she had introduced to us earlier in the week. In preparation for these activities, John Calvi lead us in an amazing workshop in sexual energy and healing. Overall, we feel that this new format for Respectful Relationships will better support both communities (YAF & JYM). The YAF community is currently trying to bridge the gap between Senior Yearly Meeting (SYM) and the Young Adult Friend community. One of the strategies we explored this week was our “speed dating” exercise where we had committee members from SYM come and give us a three minute spiel on their committee work. We hoped for more people and are planning on organizing this again to get YAF’s more interested in participating in the wider community. Some of our obstacles in bridging this gap have been affording annual session and our need to strengthen our own community. The vast majority of YAF’s present at this gathering are receiving scholarship in some form. Although we recognize that we could have used more of the funds available to us many we still consider this an issue for the future of YAF’s at annual session. In this coming year we plan on working on more outreach and publicity of the many scholarship options for YAF’s even when registering late. In the past few years we have lost many of our age 23+ YAF’s and are working to rebuild our sense of strong community. This year we have found Alyssa Nelson, the Pacific Yearly Meeting Youth Program Coordinator, to be an amazing resource to our community. We look forward to working more with her in the coming year in this rebuilding. We as the YAF community were approached within the last two days of this annual session with the idea of a committee of support and care being formed to uphold our community. We see this as arising out of a need in our community and were excited by the five names – Alyssa Nelson (as YPC), Diego Navarro, Jim Summers, Carl Magruder and Lisa Hubbell – who were brought to us of people ready to be a part of this committee. We see this committee as being able to be there to listen to where we are as a community, support our planning/clerking committee (this year the Fantastic Four – Cedar Green, Nate Secrest, Ty Graham, and Mark Runyan), and offer mentor-ship to our community throughout the year as well as at annual session. We have accepted this committee as an open committee while welcoming the five names brought forward under our care for our care as an experiment for this year. Next year we look forward to reexamining the responsibilities of this committee and whether it should be continued as a YAF committee or recommended to be under the care of the greater PYM. We began our week as a fresh, new, young community greatly in need of finding togetherness. The Service Project began our process of connecting in the community, and Meeting for Memorials cemented our bonds. We proved able and willing to care for each other in times of heartache. Through Intergenerational Chat Boxes and a Power Walk we bridged the gap to the Senior Yearly Meeting. Capture the flag and other energetic, outdoor games allowed us to befriend the younger members of our community. By the end of our short time together we had become a loving, close-knit group of Friends. We came to unity on the leadership roles for next year. The Friends in leadership roles for the 2013 JYM Gathering are Augie Brinker (Santa Cruz), Clare Griese (La Jolla), and Emma Castanedo (La Jolla) as Co-Clerks; Nathan Walker (Palo Alto) as Ministry and Oversight Clerk; and Anna Lichterman (Palo Alto), Hannah Mackinney (Strawberry Creek), and Miriam Myers (San Francisco) as the body of Ministry and Oversight. Your Registrars wish to extend sincere thanks to Don Bean who got the on-line registration up and running very quickly. This was a big help and we plan on building and improving on this for next year. Please let us know if you have any feedback to contribute to this effort. Also thanks to the Berkeley Meeting Registration Team, who offered sage advice based on their years of experience, in addition to their substantial efforts providing registration services. We got advice also from former Registrars who helped on Monday to hand out nametags and manage the flow through the line. Thanks to all who helped! Here are preliminary numbers (there may still be a few changes). Thanks to many over the age of 18 providing educational information, we can also report that we are a very well educated group! We have many Masters, Post-docs, and PhDs among us! Of course, as always, if you are here and still have not seen us, please do so! Also, don’t forget to turn in your name badge holder, as they are quite expensive and can be re-used. There are labeled boxes near the Dining Hall main entrance and in the registration area in Maple. You can keep the printed tag as a memento. Stephen McNeil (Strawberry Creek) reported that four PYM Representatives and a nominee were at this Annual PYM Session: Nate Secrest, Eric Moon, Amy Southwick, and Mark Runyon. He encouraged Friends with concerns or questions to talk to these Friends. Stephen thanked the FCNL/Education Fund donor activists because besides money, FCNL depends on Friends taking actions informed by FCNL’s staffers. He also thanked all those who participated in the Legislative Priorities process that occurs every two years with a new Congress: participation does make a difference on what work is taken up by FCNL staff and resources. FCNL provides personal, direct, and effective actions on federal policies and legislative initiatives. Currently FCNL is asking us to contact our Senators and Representatives to support calls for diplomacy, not war, with Iran. Pre-printed postcards to your Senators are available at the back of the room and in Maple Room where the FCNL information table is located. While we have all heard about the impasse and incivility in Congress, FCNL through its activists has been able to have concrete outcomes that positively affect lives. One example was in working to include specific language in the renewal of the Violence Against Women Act (VAWA) that addressed jurisdictional mess in Indian Country that had led to few prosecutions of sexual attacks and violence against Native American women. The FCNL Executive Committee is laboring under a concern for the critical decisions on the federal budget that must be made by the end of this year (2012). Growth of U.S. spending on war threatens our ability to address essential human needs. Current law–the Budget Control Act of 2011–requires a reduction in projected Pentagon spending of $1 trillion over 10 years, providing a momentous opportunity to shift budget priorities. This prospect faces powerful opposition that could persuade Congress to restore Pentagon funding by making major reductions in budgets for the peaceful prevention of deadly conflict and other human needs. • Minute endorsement of the reduction in projected Pentagon spending and the preservation of federal budgets which support the peaceful prevention of deadly conflict and other human needs. • Encourage Friends to communicate their support for these budget priorities to the public and to Congress. • Encourage Friends within the meeting to contact their elected officials to report this message. This is a holy time, a time of great possibility, great testing. May we respond bravely and faithfully to the task before us. 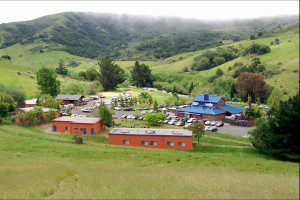 This report summarizes membership information within the constituent monthly meetings of Pacific Yearly Meeting (PYM) for the statistical year ending May 31, 2012. There are 37 constituent Monthly Meetings. Twenty-four meetings are in College Park Quarterly Meeting (65% of the total), nine meetings are in Southern California Quarterly Meeting (27% of the total), and four meetings not affiliated with a Quarterly Meeting (Big Island, Honolulu, Guatemala, and Mexico City), which represent 7% of the membership. Two Meetings have 100 or more members: Palo Alto, with 100, and Strawberry Creek with 106. Seven Meetings have 10 or fewer members: Fresno, Mendocino, Napa-Sonoma, Redding, Big Island, Guatemala, and Mexico City. Overall membership within the Pacific Yearly Meeting has decreased by 27, for a total of 1,390, down from 1,417 last year. Thirty-eight people joined by convincement, 41 members died, and 28 members were released or withdrew. Fifteen members transferred into Meetings, and 15 transferred out. Most transfers were between Meetings within Pacific Yearly Meeting. Within the past 12 years, PYM member meetings were blessed with a high of 1,534 members (2004). The lowest number of members is in 2012. A 10-year Year-over-Year view of PYM membership changes, and the number and types of changes per Meeting, will be available on the Pacific Yearly Meeting website here. This week at Pacific yearly meeting we came together as a group of nine very creative young people. We had a lot of fun and learned a lot about being Quakers and making friends. We had several guests during the week. Jim Anderson told us about the Salt and Light Conference in Kenya and we talked about what it means to be Quaker’s in today’s world. Sandy Farley played some games with us, and Stephen Matchett introduced us to Bible study. We also visited the adults in the Bible Study group. We also had a visit from “Elizabeth Fry”. All in all, we had a great time and we wish you all the best. ● Making play dough – we used stamps that were sea creatures and the play dough was blue. ● Going to the garden – we looked at carrots and worms and we tasted some herbs. ● Painting with our hands. ● Playing with the shaving cream – it looked like whipped cream and it felt like sticky stuff. ● Blowing bubbles an spraying water and making holes in the ground. ● Dressing up in costumes. ● Visiting the goats and the sheeps and we saw deer. ● We saw a yellow jacket hive – we stepped over it an walked this was (hand motion – zigzag). ● Singing with the big kids and we read “One Monster After Another”. We liked it. ● Drinking juice and water, eating Graham Crackers, fruit and cheese.